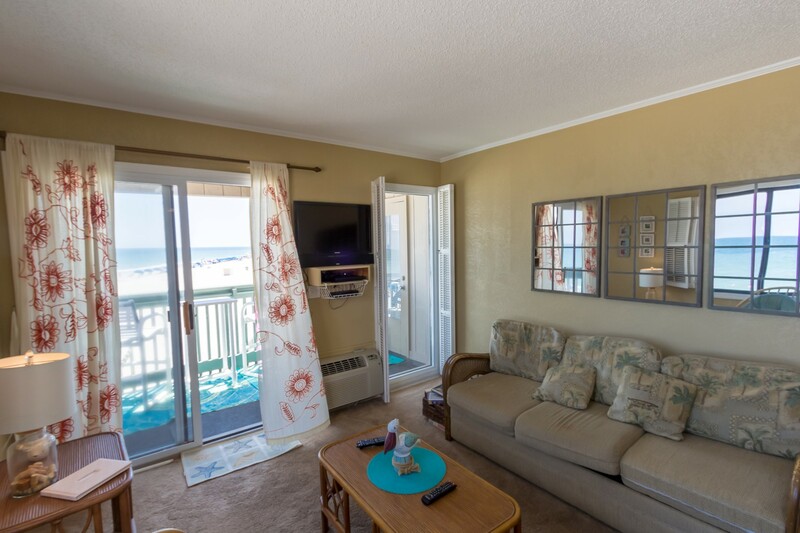 Unit #2I A Place At The Beach III Located near some of Myrtle Beaches most popular tourist attractions, this Condo with a spectacular Ocean front and side view comes equipped with its own Bluetooth Speaker bar ready to jam out the entire Summer! 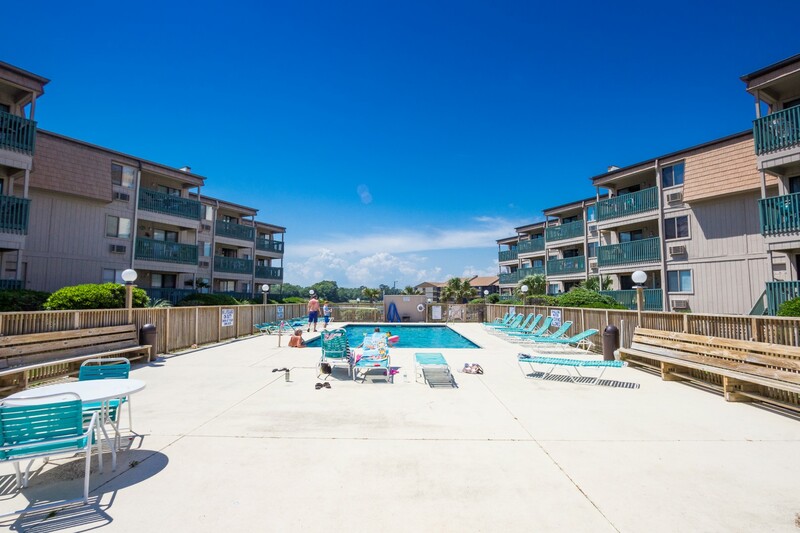 Not only are the on site swimming pools, coin laundry, picnic area, and security convenient; Ocean Annies is just a walk away! "We absolutely, positively and thoroughly enjoyed our stay here! Just breathtaking when you walk in for the first time. 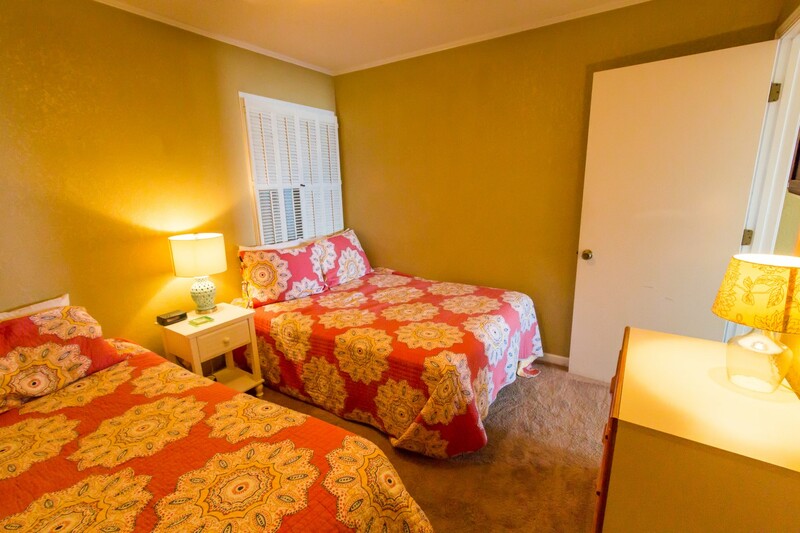 It is truly comfortable and spacious and felt like home. 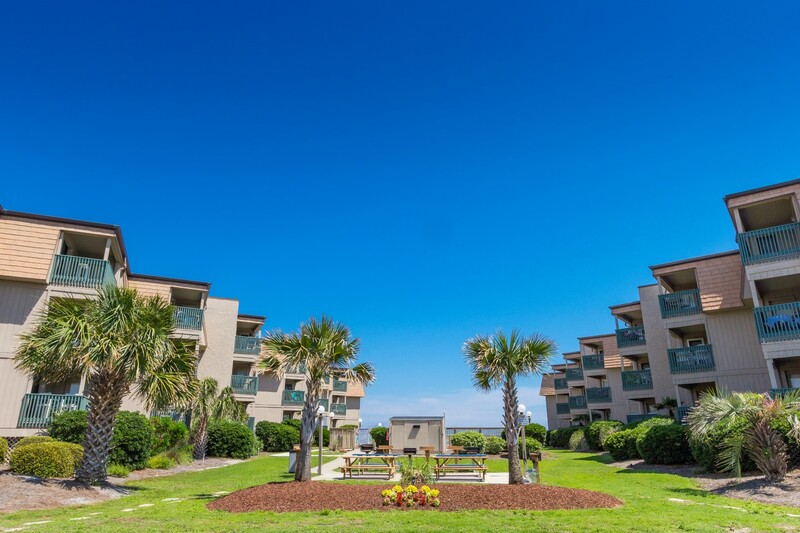 Everything is there that you need and then some … close to stores, restaurants, golfing, fishing and all that you expect in Myrtle. 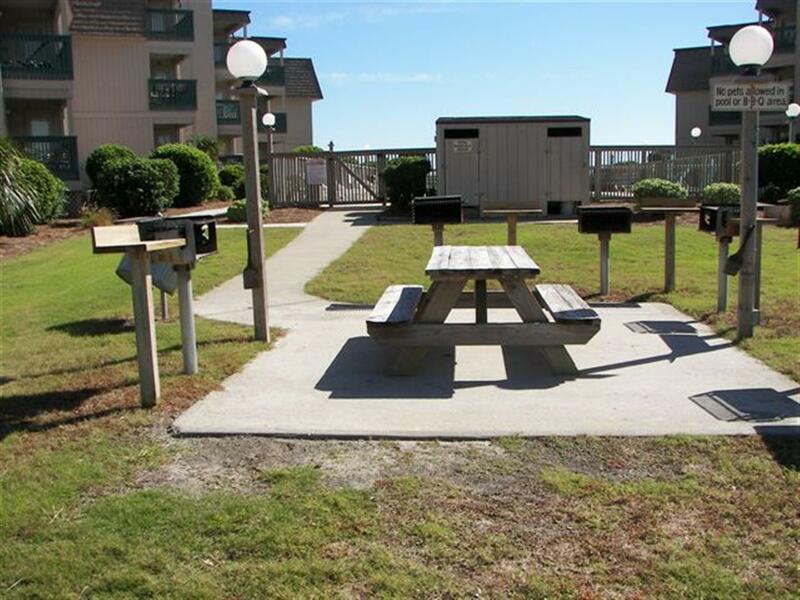 Safe parking, grills, pool and washer/dryers available is definitely a plus. The view and location gave us the opportunity to catch a peek at sea turtles on their way to their nesting grounds; and dolphins teasing everyone very close to the shore (not to mention the amazing birds in this area). The water temp was great, and the weather was the best (which is always a good thing). 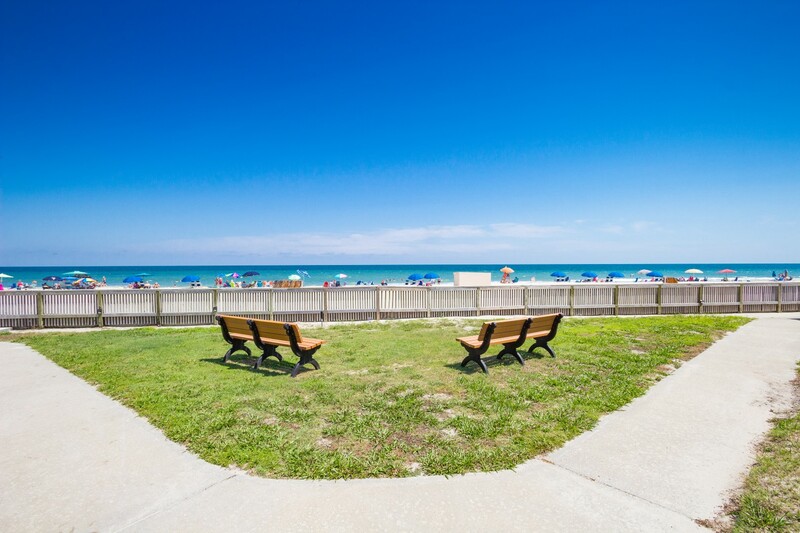 We love your place and plan to go back as often as we can. 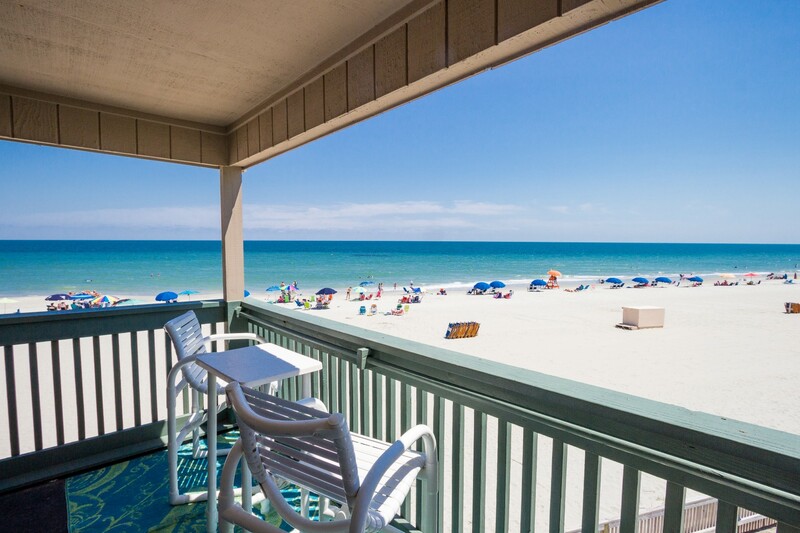 As my husband says: One week isn’t enough ... with this view … you got to go for two! Thank you for sharing your home!" "Arrived on Saturday September 8 for a week of fun and sun. 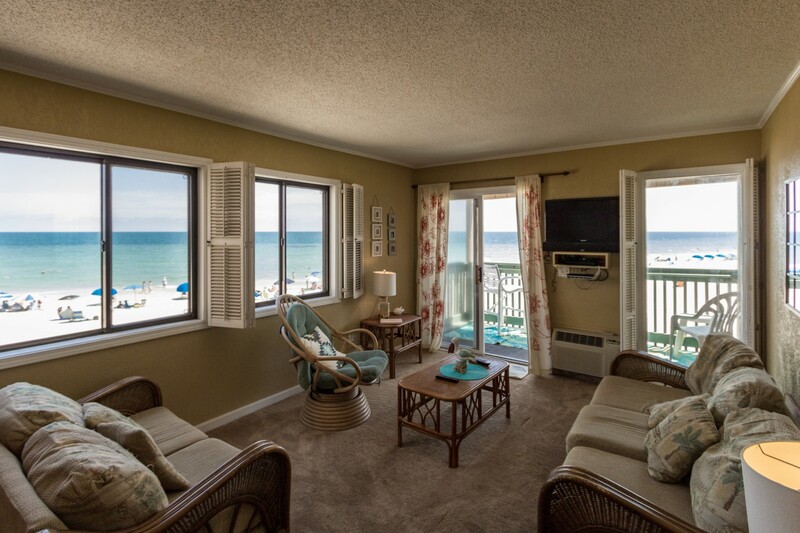 The condo was in the exact location I wanted and the condo had a great view of the beach from the deck. Hurricane Florence decided to head our way so we had to evacuate. 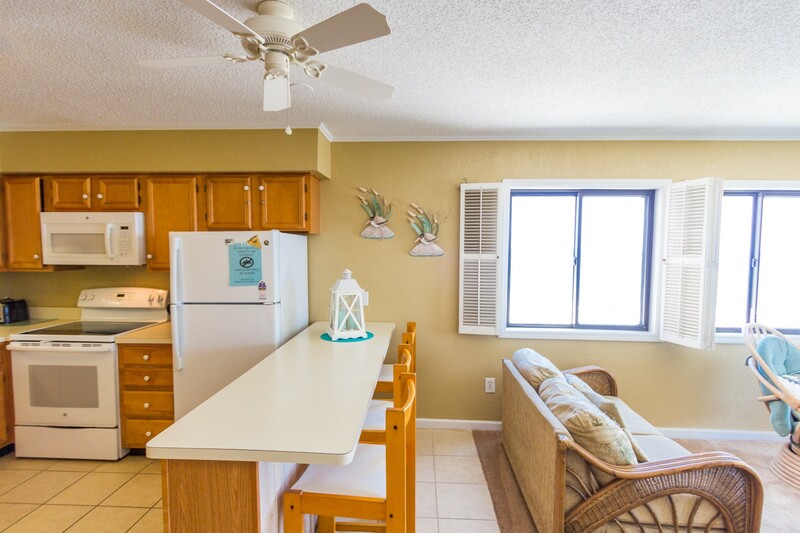 I am not sure I understand why the owners don’t refund the days you lose because the condo is evacuated which is the same as not being rented. The condo was clean and very roomy with only a couple issues which would not keep me from going back. No instruction on how to work television, and the A/C units were very noisy. Were hoping to rent it again." "Only issue was the giant Trump flag flying outside our porch which was displayed by a fellow condo owner/renter, who owned a dog. They were on the first floor in rental unit.i Turned this information into office.was told homeowner assoc. Would deal with it. Hopefully it will be addressed!!" 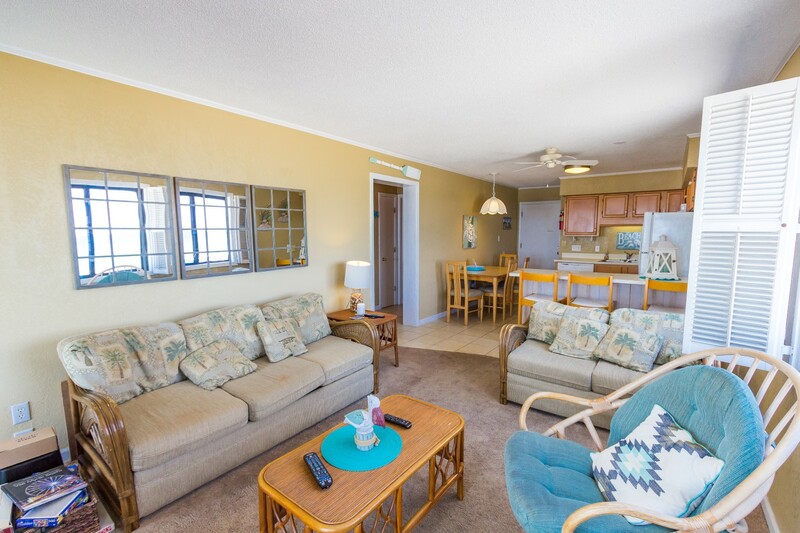 "A condo in a 3 story building with units on the east and west sides of the building. 2nd level,1st unit from the beach. About 20 stairs from sand to 2nd level. 2br 2bath. Full kitchen adequately stocked with dishware but no supplies such as salt, condiments, coffee, garbage bags etc. We/ family members have stayed in multiple units in this building over 20+ true updates since the 70s it appears.Furniture is old and worn. Decor is dated.Some things in disrepair. Cleanliness a 3-/5. 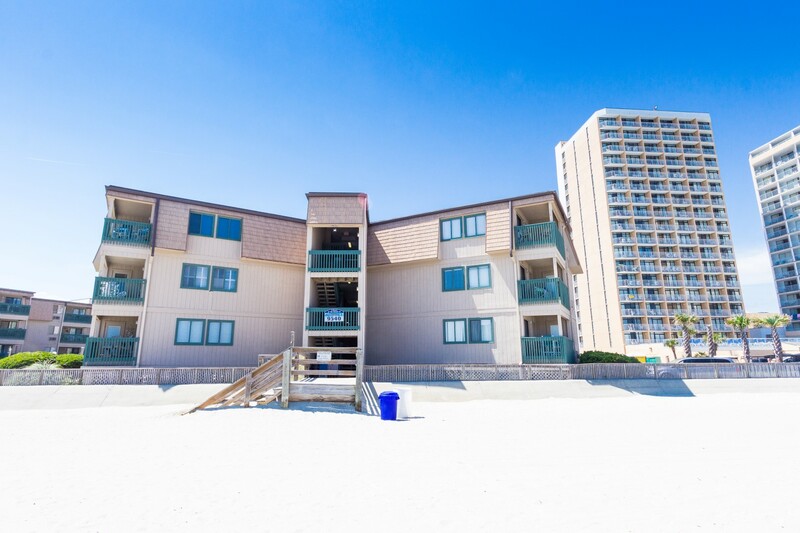 Great location if you don't mind the steps, but compared to other units over priced. " "It was great. 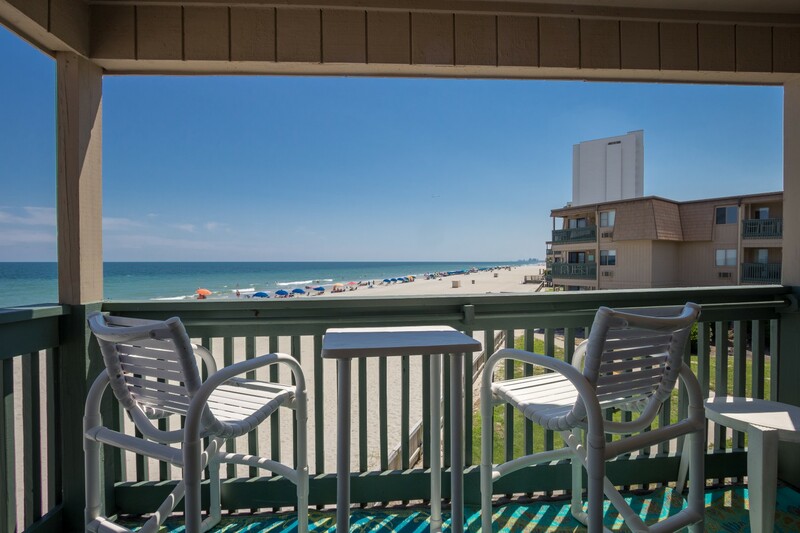 Loved the location of our condo." "I'm in love. My two best friends and I are all wives and busy mother's of three. This was a much need stay. 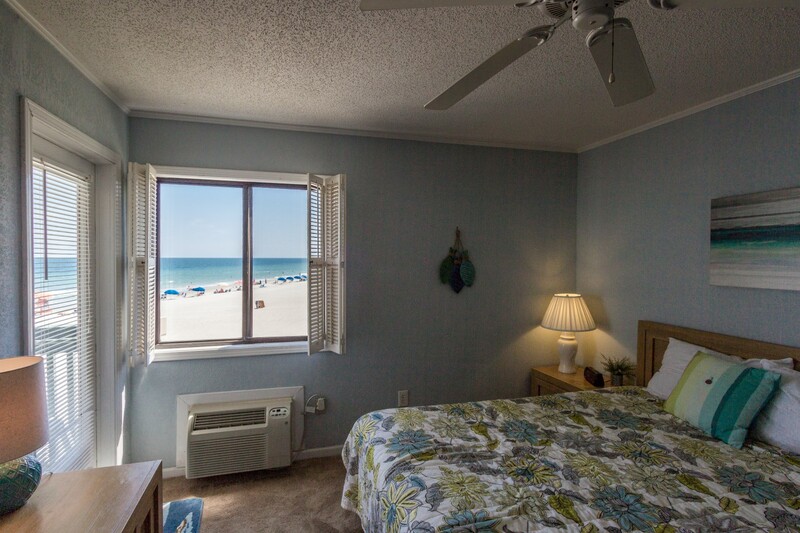 Waking each morning to the sound of the ocean was relaxing. The view, I have no words to explain. I must say we will return. " 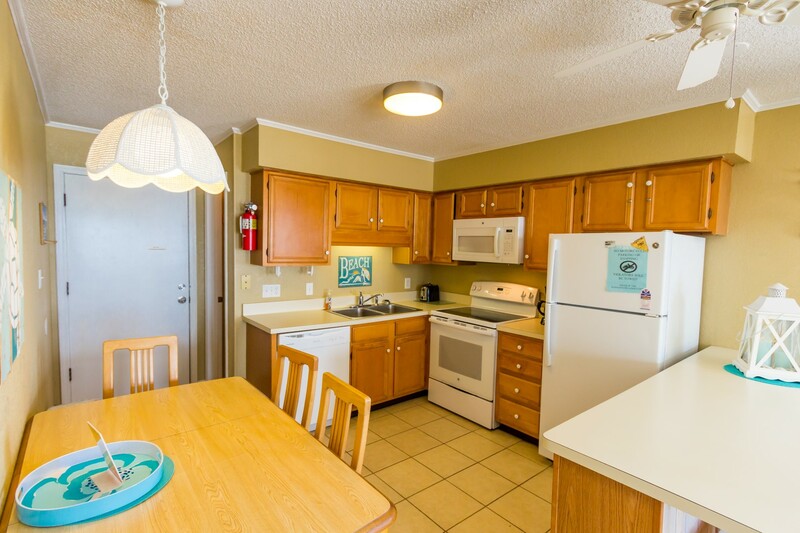 "I've stayed at the same place 4 years in a row I love it the people at Myrtle Beach vacation rentals are very professional and kind I will continue to stay there every year I have referred many of people"
"It was good, condo very nice. Saw a bug in kitchen on last day, hopefully they will spray soon. some of the neighbors were very loud shooting off fireworks at 230 in the morning and those are the only 2 bad points... everything else was great! hopefully be back soon." "Only wish we had planned to stay the whole week"
"The rental was very convenient to where we wanted to be. The rental was clean and an abundance of towels were provided. Our balcony was right over the beach which was nice. 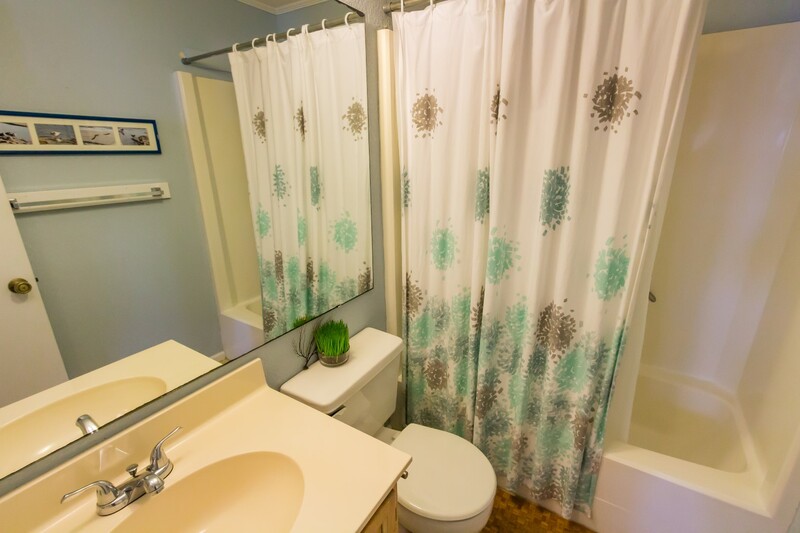 My two complaints were no central air; the unit in the master bedroom had to be turned up high to cool the other bedroom, luckily it was the fall season; also, the master bath was very, very small, not room for makeup. " 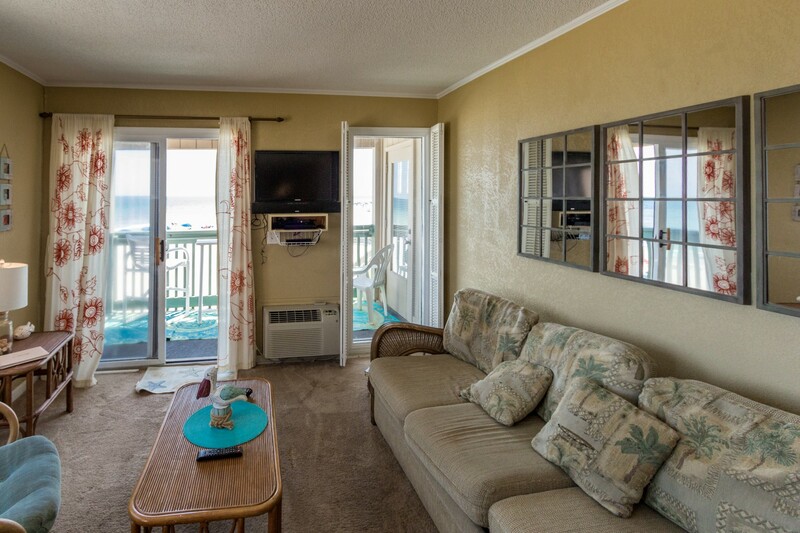 "I love this condo,oceanfront view and Ocean Annies next door.The wifi is week/worthless. One day I drove into the parking lot,parked and put on my parking pass on rear view mirror, the parking lot attendent approached me with a bad attitude and said to display entering the lot, I told him it hender my vision while driving,I always put it on immediately after I park the vehicle. He said next time he won't allow me in, and gave me and my sons the dirtiest look. He had an extremely bad attitude. Other than that everything was great. I love dealing with the management crew, they are receptive and very efficient. 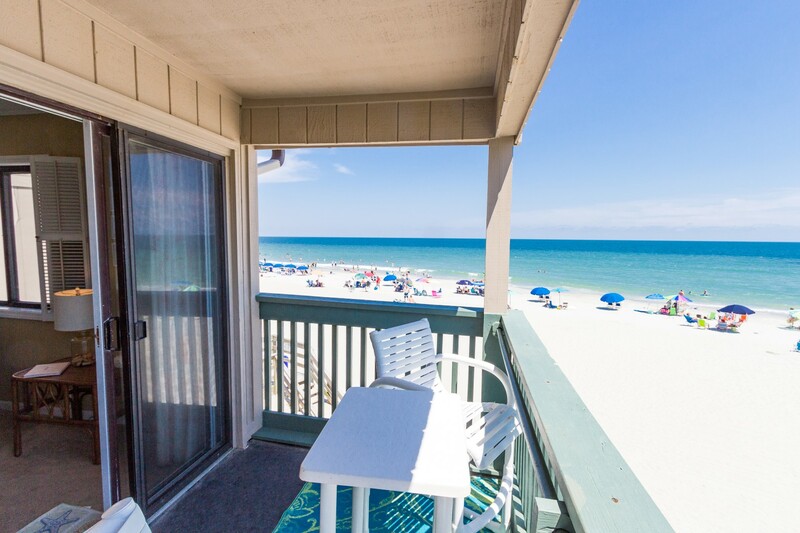 I will continue to rent this condo every summer." 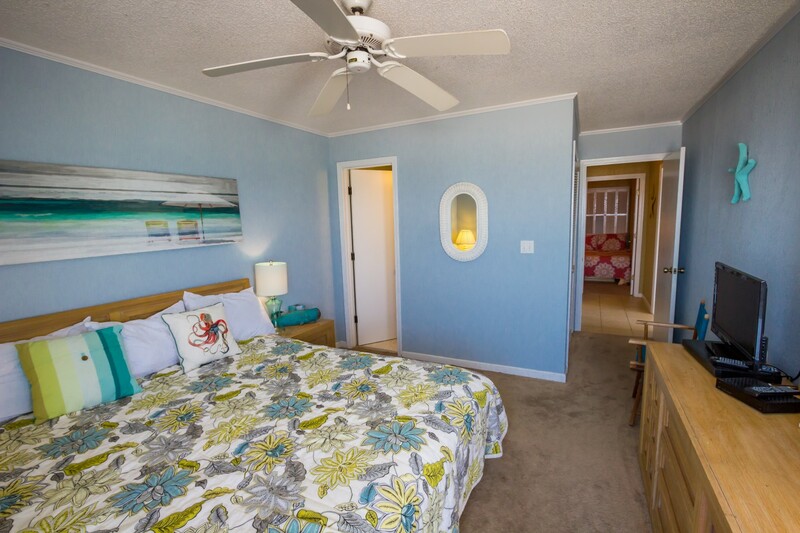 "We had a wonderful time staying at this vacation rental. 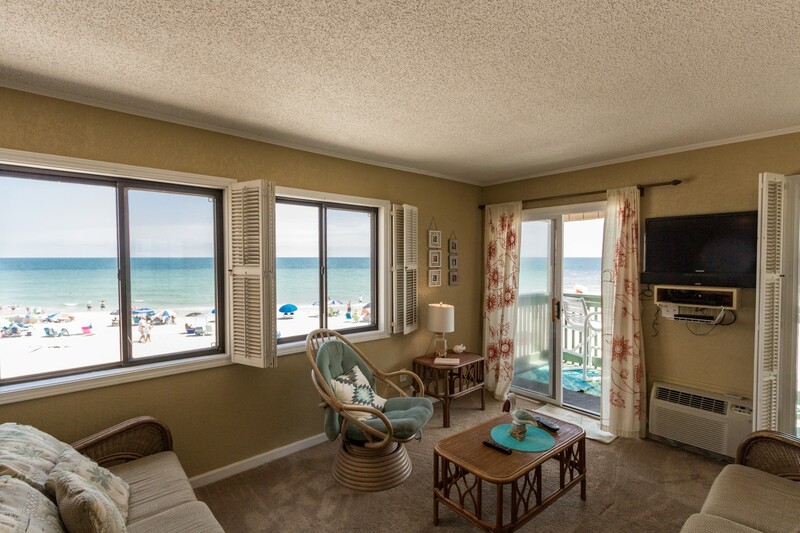 We loved the view and the condo was updated and suited for all ages. The only issue we had was that neither one of the DVDs's worked (one was broken and the other one wouldn't connect to the TV). 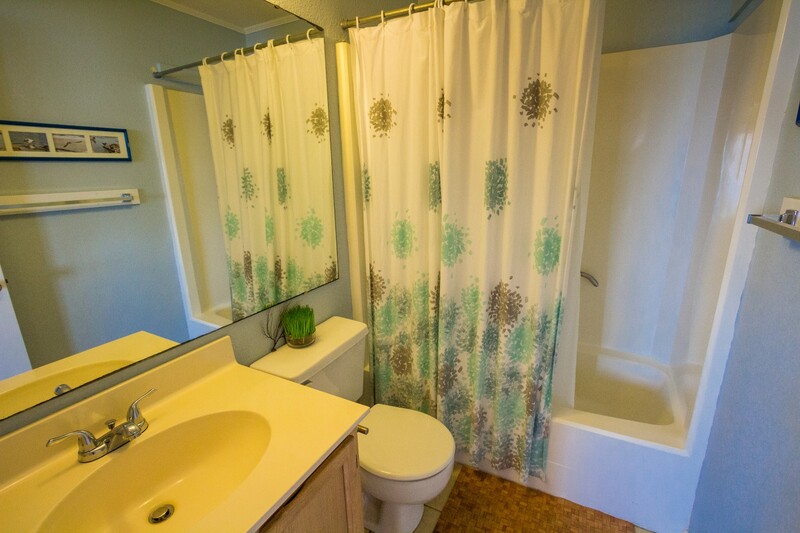 Highly recommend this property!" 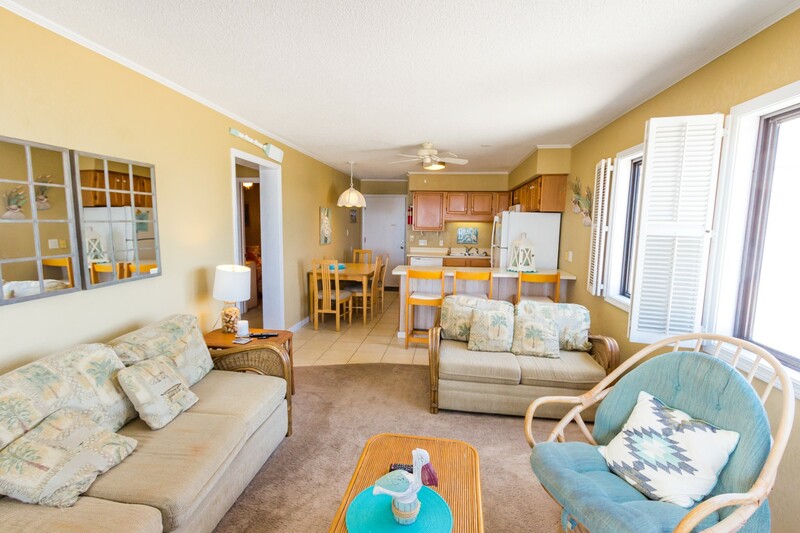 "Rental property was gorgeous, well maintained,spotless, the view was amazing, and the staff was very helpful ans kind.We could not have asked for a better place to stay. 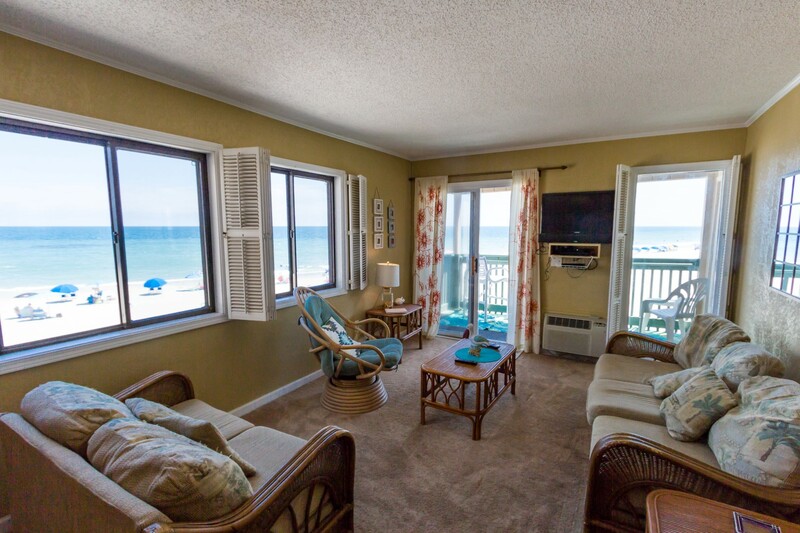 definitely will book with myrtle beach rentals in the future." 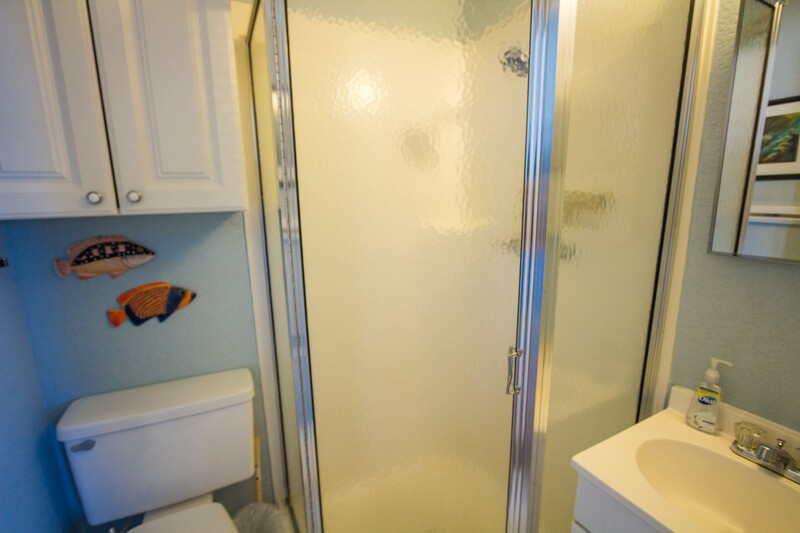 "Very nice condo, very clean, great location. 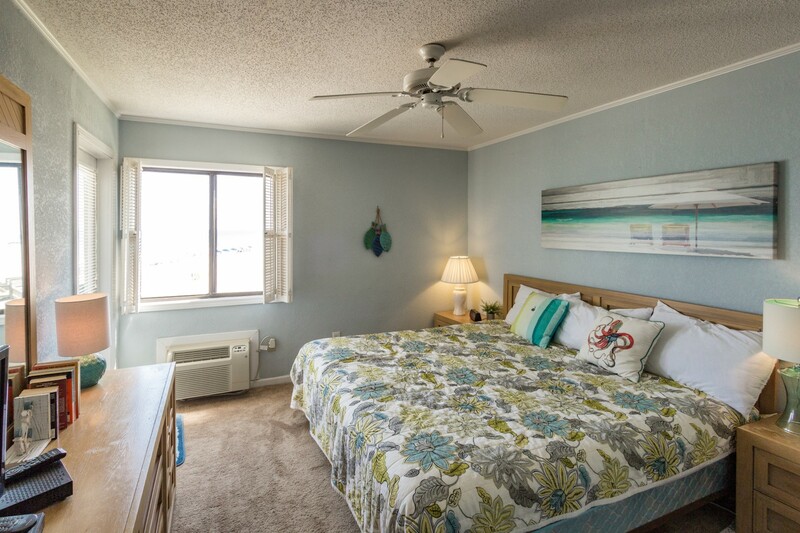 wonderful place to stay"
"Had a great time at the beach and loved our accommodations as well." "I'll start with my only complaints , 1. There was some sort of leak in living room AC I cleared the condensation line but all didn't clear up. 2. The Sat. Tv was unpredictable and spotty at best, we were not able to get the set in the kids room to work all week. But these are small complaints , on the up side my room was clean and ready when the realtor said it would be! I've only used these guys twice but I will be using them again next year. 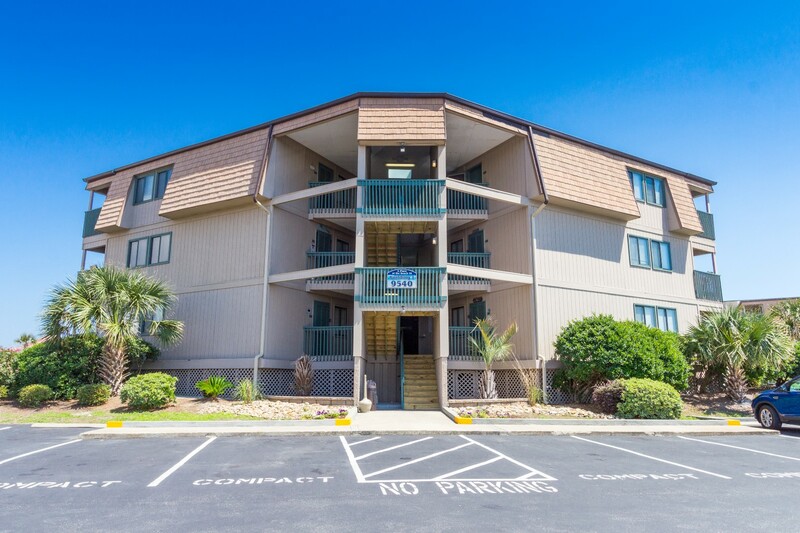 Myrtle beach rentals "
"UNIT WAS VERY CLEAN AND HAD A GREAT VIEW WE HAD A GOOD TIME EVEN IF THE WEATHER WAS NOT GREAT"
"Everything was wonderful! From the booking of the condo to departure. The condo was right on the beach and even when things were crazy with the kids at the beach, all we had to do was walk up to the condo and take a lunch break and when we return to our spot....all of our belongings that were left there...were still there. The people all around were friendly and the grovery store was near by as well as the convienace store. One of our familys highlights was crab fishing! Within walking distance of the condo was a stream of ocean water where we were able to see crabs and different types of fish! I loved it and will plan our next visit there!" "Great and close to the best beach bar on Earth..."
"I would highly recommend this location. Everything you need is within walking distance or a taxi if you don't want to drive and have a large crowd..."
"An absolute great location, view and management team....very relaxing"